1) From August 21 until now some 17 legal actions were filed all over this nation and at least 16 more are about to be filed shortly: those were individual or class actions, in different State and Federal courts. The plaintiffs: US citizens, voters, electors, different Party officials and candidates for office are alleging that Mr. Obama’s eligibility for Presidency was never verified by any governmental agency and mounting evidence suggests that he does not qualify as a Natural Born citizen and therefore cannot be sworn as the President of the United States. These actions were not heard on merits yet. The first action, filed by the former Deputy Attorney general of the State of Pennsylvania, Phillip J Berg against Mr. Obama and DNC, titled Berg v Obama el all is currently in the Supreme Court, awaiting resolution of question, whether a voter has standing to bring an issue of eligibility to court. Regardless of the Court decision on this matter, other parties with superior standing have filed similar actions. A second case has reached the Supreme Court recently. This case was filed by New Jersey attorney, Leo C Donofrio against the Secretary of State of New Jersey Nina Mitchell Wells. Mr. Donofrio states in his legal action that Ms. Wells did not fulfill her duties and did not verify the eligibility of the candidates. For example, she allowed on the ballot not only Mr. Obama, but another candidate, representing Labor party, that admitted that he is not a Natural Born citizen, but was rather born in Nicaragua. 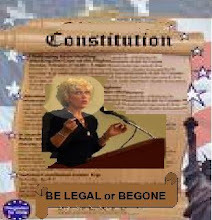 The very State and Federal officials that took the oath of office to uphold the Constitution, are trampling all over the Constitution and our rights as citizens to elect a candidate that is eligible to be the President according to the Constitution. 2) Numerous voters, concerned citizens have turned to the offices of the Secretaries of States and found out that none of the Secretaries of States verified Mr. Obama’s eligibility. Routinely the Secretaries of States simply allowed Mr. Obama to sign a form, stating that he is able to perform the function of the President without any independent verification that his statement is truthful and correct. 3) Numerous voters and concerned citizens have contacted the Federal Elections Committee (FEC) and found out that FEC did not do any verification of Mr. Obama’s eligibility either. FEC representatives have stated that they are dealing with financial aspects of the campaign, and even that was not done by the FEC, since for roughly half of the 650 million raised by Mr. Obama, there was no documentation, no names of the donors and there were numerous reports that there is a high probability that at least 65 million came from non US citizens. 4) There was no investigative reporting in the Press, since predominantly liberal media was pushing for Obama for president and was unwilling to show journalistic integrity and investigate or report anything negative in regards to Mr. Obama. b. Mr. Obama has responded by posting on his web site “Fight the Smears” a “short version” form of Certification of Live Birth’, but categorically refused to provide a copy of a vault or (long version birth certificate), that would provide for a name of a hospital and a name and signature of the doctor. This is crucial, since the State of Hawaii allows residents of Hawaii to register in the state of Hawaii the birth of their children, born in another state or another country, such as Kenya. Please see in attachment a sample Certificate of Live Birth, Box 7C, asks for the County or State or other country of birth. (this provision exists due to the fact that numerous Hawaiians historically worked outside of the state, mostly on Solomon islands and Guadalcanal). This document also has provisions for the name of the hospital and the name and signature of the doctor. Additionally, Hawaii became a State in 1959, only two years before Mr. Obama’s birth. At a time numerous residents of Hawaii did not have birth certificates, therefore the state of Hawaii allowed residents born from 1902 until 1971 to obtain a different document called Certification of Hawaiian birth, that could be obtained simply by the statement made by a relative without any corroborating evidence. Therefore the short version birth certificate, posted by Mr. Obama on his web site, could have been based on an affidavit made by his mother or most probably by one of his grandparents, that he was born in Hawaii, even if he actually was born in Kenya. This could have been done not because Mr. Obama’s relatives thought that he would run for president one day, but simply to avoid the hustle and expense of going through some eight years of immigration procedures. c. As of now no one was able to locate any hospital in Hawaii, any nurse, any doctor that would provide any evidence that Mr. Obama indeed was born on Hawaii. Mr. Obama refused to provide any documents in Berg v Obama case. Mr. Obama refused to consent to release of his vault or long version birth certificate. Even if Mr. Obama would have been born in Hawaii (all the evidence states otherwise), he would have lost his citizenship by virtue of moving to Indonesia and obtaining Indonesian citizenship. Indonesia did not allow dual citizenship and Ms. Ann Dunham- Obama-Soetoro had to relinquish her son’s US citizenship in order to gain Indonesian citizenship. i . In 1981, during the ban on travel to Pakistan for US citizens, Mr. Obama by his own admission had travelled to Pakistan. The only reasonable explanation, is that he did it using his Indonesian passport and using his prior name Barry Soetoro or his Kenyan passport, since he was entitled to the Kenyan citizenship, due to his father’s Kenyan citizenship (in 1963 Mombasa area became a part of Kenya), or he could have had a passport of British protected person, since at the time of his birth, in 1961, the area of Mombasa (his fathers homeland) was not independent yet (not until 1963) and was called Omani Sultanate of Zanzibar, British Protected Area. (it was ruled at the time by the Royal family from Oman and was part of British Protected areas). Based on all of the above Mr. Obama was never a Natural born citizen, and he would have lost his natural born status, even if he had it by virtue of getting an Indonesian Citizenship, and he has divided allegiance and cannot become the President of the US. We the People, citizens of the United States of America, demand that you investigate these acts and refrain from certifying the vote or signing the Certificate of Ascertainment (to be signed by the Governors and Secretaries of States before the December 15 vote by the electors.) We demand that the Electors of the Electoral College refrain from signing the Certificate of Vote until there is verification of eligibility of Mr. Obama by properly authenticated documents, such as vault (long version) birth certificate, that shows the name of the hospital and the name and the signature of the doctor in Hawaii, birthing records from the hospital in Hawaii, certified copies of all and any passports held with immigration stamps, particularly immigration stamps from Pakistan from 1981, school enrollment records from Indonesia, Occidental college, Columbia University and Harvard college, that would show citizenship listed at the time of application. We demand that proper investigation would be done and, if the above facts and allegations are found to be true and correct, Mr. Obama be "decertified" and therefore removed from the ballot. We, the People of the United States of America, the land of law and order, the land of Constitution. Will MV Dentist Remove Barack Obama’s Smile? A Mission Viejo dentist filed a lawsuit Thursday asking the Sacramento County Superior Court to prevent the State’s electors from casting votes for Barack Obama in the Electoral College. If successful, the injunction would last until the Secretary of State exercises due diligence to obtain proof of Obama’s “natural born” U.S. citizenship. Dr. Orly Taitz has a dentistry office at LaPaz and Chrisanta, claiming thousands of satisfied clients, but she has also been a licensed California attorney since 2002. Taitz joined Ramona attorney Gary Kreep of the United States Justice Foundation in filing the Writ of Mandate Petition in the Sacramento County Superior Court. The pair is representing former Reagan appointee, Ambassador Alan Keyes, who was a 2008 presidential candidate for the American Independent Party. The complaint by Taitz asks the court to prevent the Secretary of State from certifying the election until proof is shown that Obama is a “natural born U.S. citizen, and that he is not a foreign citizen of Kenya, Indonesia or Great Britain. It names Obama, Biden, the Secretary of State, and California Democratic electors as defendants. The issue is not new. The complaint states that 17 other federal and state lawsuits are pending regarding Obama’s citizenship. There have also been cases challenging John McCain’s “natural born” qualification since he was born in Panama while his father was on military assignment. Taitz requests an expedited hearing process, stating any actions taken by Obama after inauguration would be illegal and void if it was later determined he was not a natural born citizen of the U.S. The twentieth amendment to the federal constitution provides for succession of a president-elect who does not qualify. The vice president-elect would act as president until a president is qualified. Barack Obama has refused to allow access to his birth certificate. The Governor of Hawaii has also refused to release Obama’s birth certificate or describe its origins. Taitz alleges that Obama’s paternal grandmother has affirmed she “was in the delivery room in Kenya when he was born August 4, 1961.” Even if Obama was born in Hawaii, his U.S. citizenship was relinquished when he became a citizen of Indonesia in or around 1967, according to Taitz, which would also disqualify him under the U.S. constitution. Obama is defending himself in another citizenship case by claiming the plaintiff in that action is an ordinary citizen and therefore lacks standing to bring the challenge. That matter was being reviewed by the US Supreme Court. In the Taitz case, the plaintiffs are not ordinary citizens, but a 2008 presidential candidate, his vice-presidental candidate, and a California elector. 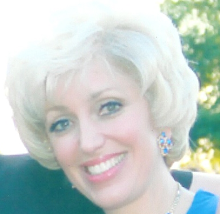 Ms. Taitz contacted California Secretary of State Debra Bowen (Dem) on October 25 requesting an administrative hearing. Bowen has since failed to take any steps to confirm Obama’s citizenship, leading Ms. Taitz to file suit seeking injunctive relief to prevent any California electoral votes from being cast for Obama. Click here to view the court document. You can keep your name hidden from the public if you desire. I suggest that you could also contact both your state and federal elected representatives to express your concern. The reason to contact state elected representatives like your State Senator(s) and State Legislators is that they should consider legislation to stop such a problem from occurring again. Federal legislators can play a role in the Electoral college deliberations. If you are interested in joining with others, there are numerous groups involved in working on various projects associated with this controversy. Just let me know. Please pass these around to as many friends and family as you can. Try to recruit others if you can. Let's turn this into a signficant movement. There is a lot at stake! Allen Keyes, former US ambassador to the UN, has filed a complaint, together with several others including one elector, against Obama, the California Secretary of State and the other California electors. The request of this action is to enjoin the California electors from voting for Barack Obama until he has been shown to be eligible to hold the office of President of the United States, and keep the California Secretary of State from certifying the vote.